This is Part 4 of a multi-part article. Please read Comprehensive Recovery Training for Athletes [Part 1] first. Then read Part 2 here. Then read Part 3 here. Up until now I’ve only discussed “passive” forms of recovery training that athletes can partake in to help increase the likelihood that they are at full capacity when the time comes to resume training at high intensities again. Right now I’m going to discuss some arguably unique recovery training methods that serve as active recovery. Below I will list them all and then tackle each one down below. I don’t think tempo training really needs too much of an introduction or elaboration at this point, but I wanted to be complete, and it is very valuable for any speed or power based athlete. Tempo work helps to satisfy various functions in the human body from improved systemic circulation, heat generation (Francis), nutrient and hormonal delivery, metabolic waste removal, increased parasympathetic nervous system activity, improved body composition, improved aerobic fitness, and more. Moreover, many of the credible authors I’ve studied in the industry over the years and some studies show definitive PCr regeneration with improved aerobic fitness. Basically, if you want to expand your alactic or anaerobic envelope and repeat bouts of high speed and power then you have to possess some degree of aerobic capacity. Bottomline, is that if you are an athlete and you aren’t participating in regular tempo work on your non-training days then you are doing you and your body a big disservice. I dedicated an entire section to this form of training in my book, so check it out if you haven’t already if you would like to learn more. Everything from pull-ups, chin-ups, handstand pushups, conventional pushups, multi-directional split squats and lunges, overhead squats, inverted rows and more can be combined in a circuit type fashion at moderate to high volumes and low to moderate intensities to help achieve everything I mentioned previously in the tempo category, just through a different approach. I always try to search for some solid variation for my athletes when it comes to active recovery work, mainly to help raise psychological appeal over the long-term. Athletes are training week in and week out, and seem to respond better from a motivational standpoint with an array of options to perform on their off days in my experience. Every athlete will have structural deficiencies in the form of decreased joint mobility and soft tissue flexibility at specific areas at some point. Supplying athletes with some standard mobility circuits which cover many of these can induce a fair conditioning effect which makes them feel better about their production in the gym that day, and they can really address any restrictions that may be present in their bodies at the time. Here is a video of me demonstrating one of our common mobility circuits that concludes our second training day each week. This would consist of any of the “traditional” forms of cardiovascular training that generally take place on a machine. Exercises like the elliptical, stepmill, treadmill, cycling, and others remove gravity, resistance, and higher impacts associated with activities such as sprinting, running, jumping, and agility work. I like this approach because it takes stress off the joints which naturally take longer to heal and may be in a present state of recovery debt, while still providing a low level stimulus to the muscles. Many have completely abolished the whole notion of allowing any machines in their programs, and I think this is a bit of an overreaction to say the least. A lot of my athletes and clients like them and as long as they are performed at the right time, in the right quantities, with the appropriate amount of effort then I seen no problem for their presence in a program, just as long as all of the other athletic training essentials are being practiced regularly. I first heard the next two technique from mastermind Alwyn Cosgrove years ago. 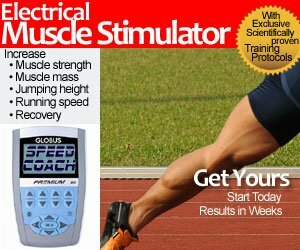 Alwyn utilized this particular training technique to generate an optimal metabolic response in the body to achieve faster fat/weight loss, but I think they work great for active recovery purposes as well. Timed sets are pretty straightforward. Basically you select an exercise and perform it for a specific duration. Aerobic metabolism is obviously increased with less effort and higher work periods, so 30 seconds-2 minutes for each set seems to work great with no adverse effects. I also like selecting exercises that are tailored to each individual and where their weaknesses lie. Dumbbell or kettlebell swings are great for a majority of athletes and clients since hip dominant movements are still underrated and infrequently prescribed. The proximal hip flexors, or psoas group tend to be weaker in many, so a properly executed mountain climber progression would work great for these individuals. 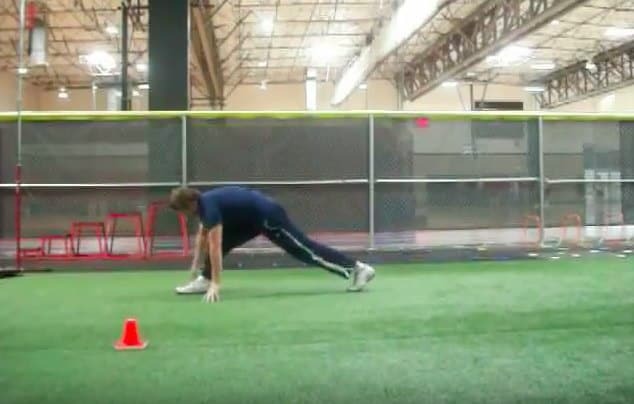 There are several more examples, and again, it’s just another route to active recovery for the athlete that does not impose any negative effects. As you will see in the video above, a complex is simply a series of standard strength exercises performed in succession where you complete all of the prescribed reps of one exercise before proceeding to the next. Some common keypoints for devising a proper complex is making sure the bar does not pass over your head too much if you elect to use a barbell, and never putting the training tool down on the ground until all reps of each exercise is complete. The number of complexes you can create is pretty high which makes it an intriguing option. I know many use complexes for muscle building purposes and other objectives, but I think it fits best for active recovery purposes for a number of reasons. I honestly believe an optimal growth building stimulus is provided with the classic compound movements (squats, deads, chins, rows, and presses) performed in a heavy and regular fashion. #1-Tomlin DL. The relationship between aerobic fitness and recovery from high intensity intermittent exercise. Sports Medicine 31: 1-11, 2001. Travis Hansen was the Head Strength and Conditioning Coach for the Reno Bighorns of the NBADL for their 2010 season, and he is currently the Director of The Reno Speed School inside the South Reno Athletic Club. He is the author of The Speed Encyclopedia.